Pure native code - No need to install.NET framework or Java VM. 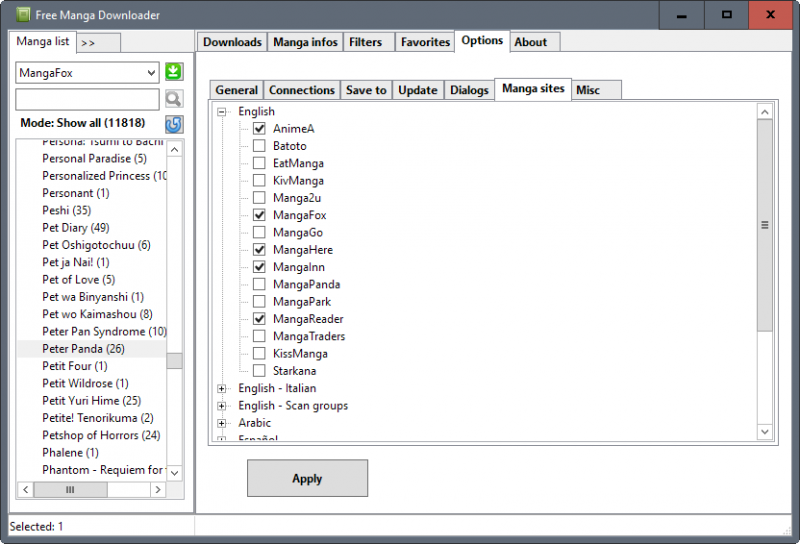 Supported 50 manga sites (You can choose manga sites from Options->Manga sites). 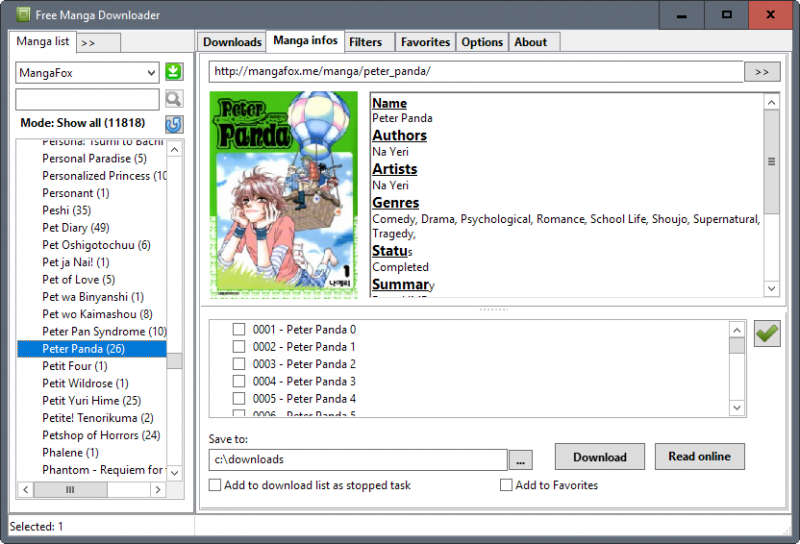 Filter (Provides option to search manga by genre, author, state, ect). Favorites (keep track of your favorite manga, auto download new chapters). Compress/convert downloaded chapters to ZIP/CBZ/PDF.